Fintechs may be in the spotlight when it comes to innovation, but Citi’s Treasury and Trade Solutions boss believes the bank can give them a run for their money, finds Joe McGrath. Advances in technology and service for consumers are raising expectations on the corporate level, driving change in the business environment. 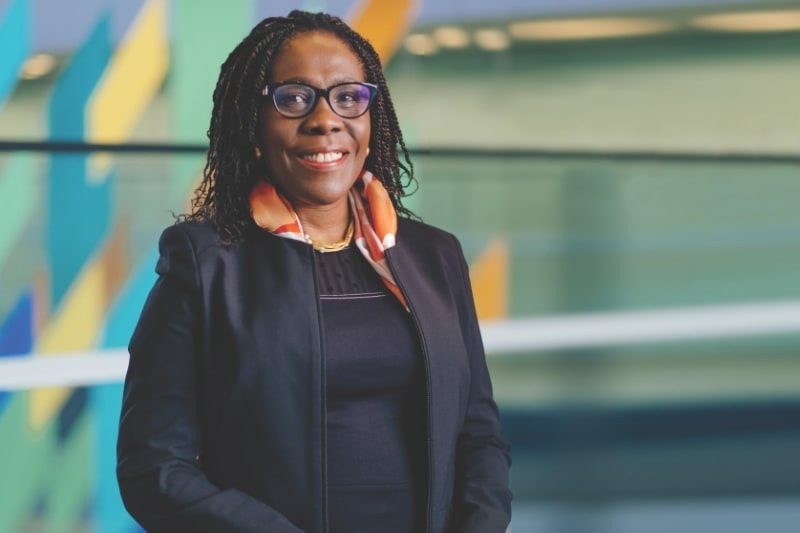 Ireti Samuel-Ogbu, Citi’s EMEA payments and receivables head, Treasury and Trade Solutions, sees ‘co-creativity’ and the fast-paced environment in which the change is taking place as important challenges. The Citi Treasury boss says technology giants such as Amazon have hugely influenced the level of expectations people have when it comes to customer service. This has spilt over into the corporate world. “What you find over time is transference of what we experience individually, to what we will accept in a professional capacity,” she says. “If you experience a great client experience with Uber, for instance, you are going to be less tolerant of old fashioned experiences from banks. The payments industry is fast becoming one of the most dynamic sectors in financial services, propelled by advances in technology and innovations from both large banking institutions and the smaller fintech players. Samuel-Ogbu says that one of the paradoxes with innovation and digitisation is that much of it has been driven by regulators. “Whether it is the real-time payments happening all over the world, payment gateways in the Middle East, or financial market infrastructures combining with mobile wallets in Africa and Pakistan,” she says. Another change related to this is client transition to a “world of 24/7”. “Previously, we had cut-off times, end-of-days, and 9-5 when things were being done. Now we are in a world where commerce is 24/7 and the expectation is to handle that accordingly. While Open Banking and PSD2 are making the industry more accessible and improving services, the increased competition from fintech players is causing some concern to the big banks. This, according to Samuel-Ogbu, is where Citi is coming in, in helping to build a single global interface. “We are leveraging new technology, and APIs, to connect to all the instant collection capabilities and alternative payment methods like wallets to facilitate ecommerce for our clients,” she says. There is no doubt that greater importance is being placed on technology. Banks have significantly increased their annual IT spend, while consumers are more widely adopting payment services such as ApplePay, Google and other digital wallet applications. She sees PSD2 as a catalyst which encourages banks to act more like fintechs, essentially becoming payments initiation service providers. Ultimately, the driving force behind the direction of change and innovation is the client, says Samuel-Ogbu. “There is one clarion call we have at the moment, which encompasses our strategic direction: ‘being the best for our client’,” she says. At Citi, fintechs are considered collaborators rather than competition, Samuel-Ogbu explains. “Citi Ventures takes strategic shares in fintechs. We have collaborated with fintechs in areas such as payment risk management and reconciliation.